Jimmie Charles Adam, 92, went to his Lord on Tuesday, January 23 at the Isle at Watercrest Dominion in Leon Springs. Jimmie was born on November 11, 1925 to Willie Eugene and Lillie Katherine Schuetz Adam at their home in the Balcones Community, located 4 miles south of Boerne in Kendall County. A lifelong resident of Kendall County, Jimmie is the great-grandson of Conrad Adam who settled in the Kendall County area in 1854. In 1984, Jimmie’s farm was recognized by the Texas Department of Agriculture at the annual Family Land Heritage ceremony, for Texas families who have kept their farms and ranches in continuous agricultural production for 100 years or more. Jimmie was an Army combat veteran of WWII, serving with distinction in the Asiatic-Pacific Theater with Company L, 21st Infantry, 24th Division. He received the Soldiers Medal for outstanding heroism saving a fellow soldier. Following the war, he returned to Kendall County, where he worked at Camp Stanley in addition to farming. He served his community and his church as well as his country. In his community, he served as President of the Kendall County Fair Association, Post Commander of VFW Post 688, President of the local chapter of National Active and Retired Federal Employees Association (NARFE), and for 40 years sat on the board of the Guadalupe Valley Telephone Company. He was active at his church, St. John Lutheran where he was a member for 71 years, serving as a member of the Church Council and chief chili cook for the Fall Festival and Wild Game Dinners. He married Sally Jo Richardson December 17, 1947 at St. John Lutheran Church in Boerne. Sally and Jimmie loved to dance; square dancing with the Boerne Bunch, round dancing and country and western dancing. In later life Jimmie’s motto was “If you can walk, you can dance!” He also enjoyed playing cards and dominos with his friends and family. 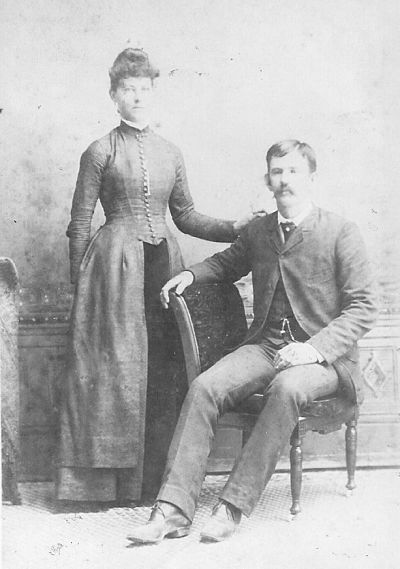 He was preceded in death by his wife of 57 years Sally Jo Adam, his parents, brother Chester Adam and nephew Chester “Tuffy” Adam, Jr.
William Kuhfuss, Justice of the Peace for Precinct 1 in Kendall County, united in marriage Julius Adam and Ida Haufler on 28 December 1890. Ida told the family they met when Julius stopped by her family home in Waring, Texas. The rest is history. She remembered from this visit how dashing he looked sitting on his horse with his shiny black boots. They had five children with four living to adulthood. The children were Willie Eugene born 1893, Hildegarde born 1895, Eugene Conrad born 1898 and Erna born 1902. After Julius’ father Conrad died in 1894, the family moved into the family home in the Balcones Community four miles south of Boerne. Ida was the daughter of Johann Gottfried and Louise Magers Haufler. 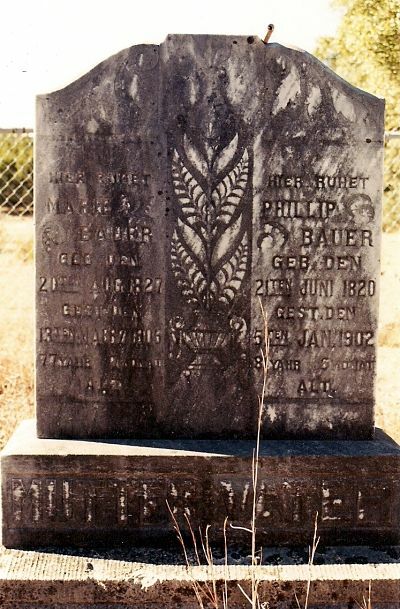 My second great-grandparents are buried in the Kreutzberg Cemetery which is located about six miles outside of Boerne and one mile from Kreutzberg, Texas. A number of years ago an autograph book belonging to Bertha Adam Froebel Haby was found in a flea market in San Antonio. Fortunately the person who discovered it recognized some of the names, purchased it, and donated it to the Boerne Historical Society Archives. The autograph book was analyzed by a relative, Dorothy Ebert in 1991. Friends and relatives from Boerne, Austin, San Antonio, Clear Spring, and Windsor signed the book. Some of the signers wrote in English but most wrote in German script. The earliest date is 1881. Bertha was 16 years old and perhaps had received the autograph book as a gift. She continued to collect autographs until 1911. Eleven of the autographs are from people living in Austin in 1881. Perhaps she was visiting her sister Emilie who was living in Austin with her husband William Schoenert. Emilie and William married on her parent’s 24th wedding anniversary, 16 February 1880. Autographs from Boerne, San Antonio, Clear Spring and Windsor span thirty years,1881-1911. 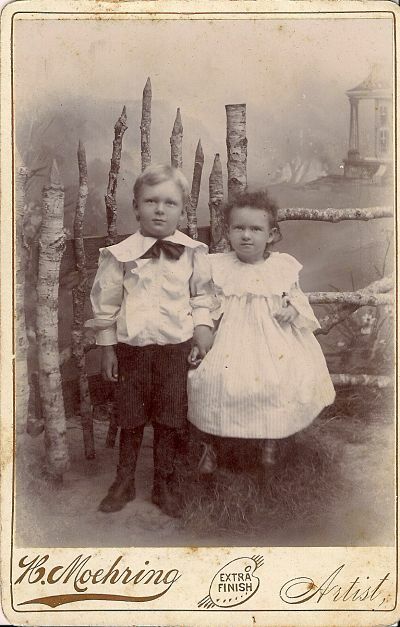 Bergmann, Minnie; Clemens, Clara; Dietert, Emil, cousin; Froebel, Ralph, son; Froebel, Udo, son; Saner, T. P.
Bertha was the fifth child of Conrad and Adalbertha Bergmann Adam. She born the summer after the Civil War ended on 8 July 1865. At the age of 20, she married Hilmar Guenther Froebel on 24 January 1885. H.G. and Bertha had three children who lived to adulthood, Guenther Hilmar, Udo Julius “Jack”, Ralph Alfred Froebel. H.G. died in 1905. In 1907 she married Charles J. Haby. Ebert, Dorothy, Alphabetical Index to Bertha Adam’s Autograph Book of 1881, Boerne Historical Archives, 1991. City Cemetery No. 6 (San Antonio, Bexar County, Texas), Froebel, Hilmar G. and Bertha Haby, personally read, 1979. Adam, Willie and Hilda. Photograph of the original held by Jimmie Adam. Digital copy privately held by Kathryn Adam-Hurst. Boerne. Drum roll!! My newly discovered fifth great-grandmother’s death record from Langenbach, Hessen-Nassau!! Schütz, Anna Marie Death Record. Hessen-Nassau, Prussia, Germany. Evangelische Kirche Kirburg, Langenbach, Amt. Hachenburg (Oberwesterwaldkeis) Book IV: 122, 1852-1870; microfilm reel 2003138.